Nobody can stop you if you’ve got the passion and you work hard. Create content. Publish content. Amplify content. Repeat. 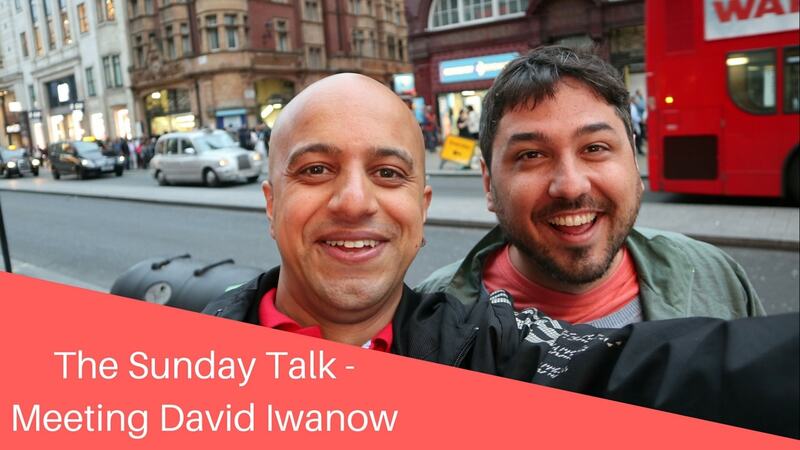 On my way to meet David Iwanow – one of the top SEOs in the UK. He is, well imagine Omi Sido times ten. So if you ever need a good SEO David Iwanow should be your first choice. David Iwanow: Say something. Something, there you are. I am here with Omi. We are here in London. We are just in Oxford Circus. Omi: we had an amazing medium rare steaks. David: It wasn’t as good as Flat Iron. Omi: Ok, but the creme brulee was good. obviously, the discussion with Rand had about whether speakers need to produce unique decks each time they speak at conferences. So I guess we had a bit of a view on that. We had a few discussion. Just general about life. And guess what’s happening next with me. Last couple of days at BlueGlass. Omi: Ah, ok. David’s got an announcement to make. David: Afte a year working with Kevin Gibbons at BlueGlass I am moving onto a new project. It was great working with Kev. I’m gonna miss a lot of the team and definitely miss some of the clients cause we had very good clients. But yeah looking forward to the next exciting thing. Huge challenges ahead of me. Obviously, you’ve got your new job. Omi: Yeah, I’ve got a new job as well. David: Yes we’ve caught up with life at Canon. We had a good discussion. And we’ve got some awful music playing in the background. Omi: I hope you gonna be able to hear stuff. David: Yeah, you may not be able to hear anything because of the music. Thanks for tuning in and don’t forget to subscribe to Omi’s channel on YouTube. Is it like there? David: And follow the people on Twitter. And have yourself an awesome Wednesday night. David: Ciao everyone. Bye. See ya. Meeting David yesterday was amazing. We had such a great time together. 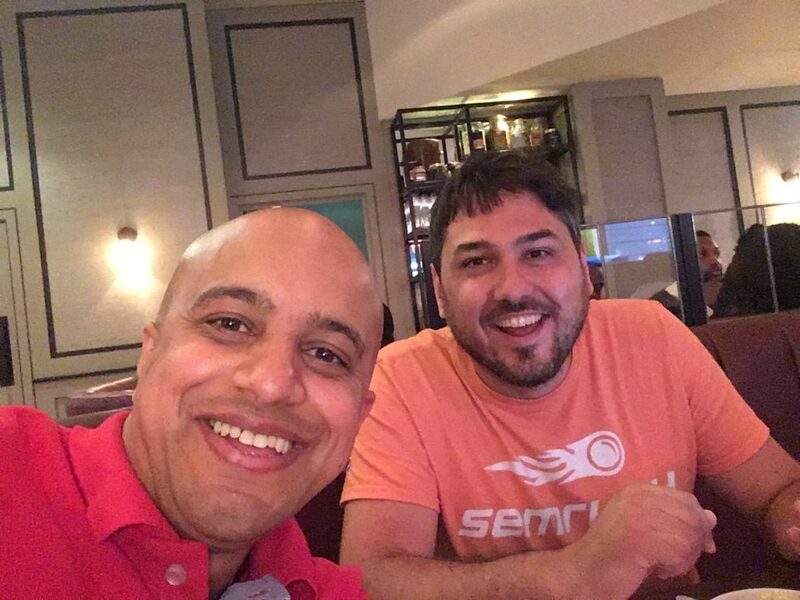 He gave me this crazy idea of connecting Deepcrawl to Tableau in order to make everything a little bit more visual. Having data is power. Having data is knowledge. But without the right framework for understanding it much of this knowledge may go unrecognised. Very often is data visualisation that allows your data to unleash its true impact. So literally two seconds after closing my visor, I see this stone flying towards my head. Obviously, I had no time to move away so it hit me in the visor. Then I am going to work and all my colleagues are like ‘Oh Omi, are you gonna give up riding bikes now because they are dangerous?’ And I am like: well then I have to give up alcohol or chocolate. I am not sure Judith Lewis will agree with this statement. Jokes aside whatever happens in your life you have to ready to move on. I just came back home and I’ve got a massive headache. As advised by Gina I’m gonna have one of those and I am going to bed. On my way back home I was thinking. Don’t full yourself that you’ve got time. Live the life now. Have a great weekend, guys. Peace. Saturday morning. I’ve just woke up and I’ve got a stiff neck. Probably I will spend the day in bed. But then I saw this picture on my phone and I am a happy man. Thank you very much, guys, all of you for thinking of me. Despite our increasingly digital world–or maybe because of it the power of face to face communications is now more valuable than ever. Sure, social media, e-mail, video chat can help you communicate to people across distances, but it’s those face-to-face meetings that foster trust and can lead to solid relationships and partnerships in the future. You may say video chats is a form of a face to face communication but I keep on seeing people involved in video conferences that are answering emails, texting or even answering their phone. I wouldn’t do that if you were standing in front of me, right. Guys, next week I’m gonna try and talk a little bit more about the power of visualising your data for your customers but you do come back here next Sunday cause you’ve got the problems and I’ve got the solutions.